Dubai city ​​that was formerly the desert is now become a Paradise for tourists.Dubai is one of the top tourists destination and most luxurious city in the world. Dubai ranks 1st for luxury homes in the world Tourism is a booming industry in Dubai and there are so many things for tourists to do in Dubai, that no amount of time that will be enough to visit each attraction of this city.Dubai has become a new hotshot in tourism. People from all around the world travel to Dubai to enjoy its beautiful architecture, shop, enjoy amazing desert safari and dinner on a cruise. 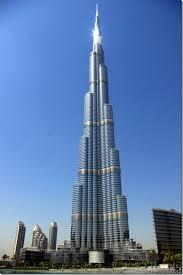 f 321 metres,, 66 floors and is the tallest building is fully used as a hotel. The building stands on an artificial island located 280 m offshore in the Persian Gulf. 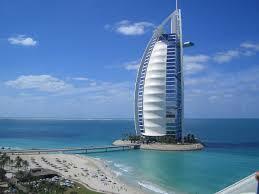 Burj al-Arab is owned by Jumeirah. Besides above the ocean waters, the high tower also features with a special dish of cocktail Skyview Bar, underwater restaurant, seven-star hotel rooms and an outdoor tennis court. 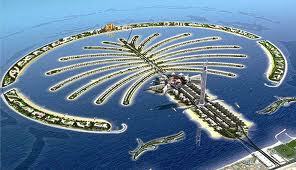 Burj al-Arab become the most famous tourist attractions in Dubai. Burj Khalifa is world's tallest tower and most wonderful architecture.Burj Khalifa is an amazing feat of engineering- the story of which you can see if you take a trip to "At The Top"- the highest viewing platform in the world.This building includes part of the hotel, office space, Residential Apartments with all luxury facilities. The journey starts from the lower ground level of The Dubai Mall. Throughout the journey to the top, visitors are entertained by a multi-media presentation of the exotic history of Dubai and the marvel that is the Burj Khalifa. ainment, family and shopping destination. Breathtaking live performances, mouth-watering cuisine, authentic handicrafts and merchandise from different countries await you at the many national pavilions in Global Village. 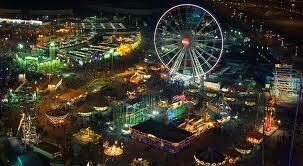 There are many more attractions, including thrilling rides, games and firework displays, to complete your visit. 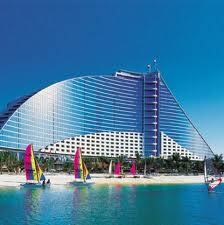 Jumeirah beach is the most famous beach tourist attractions in Dubai. This beach stretches to 7 km, divided into seven beaches and each beach stretches miles and length. Two Coast fused in each Jumeirah Park, and Wadi Water Park is located on Jumeirah beach. The beach is dedicated to the water playground, and the Water Park are giving you enjoy free time for sightseeing water. u need to enjoy a wonderful holiday break.There's a wide range of daytime activities, including water sports, aquariums, theme parks and of course miles of beautiful beaches. And at night the bars, clubs and shows will offer plenty of fun and amusement. 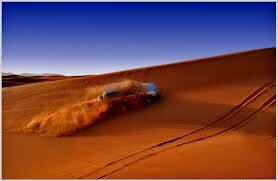 The fun of travelling from Dubai to a huge deserted land can be breath taking. You would be amazed to see never ending dunes of sand across you. As far as your eyes can see, you will visualize just sand. During your trip you will encounter well bred camels and scattered villages.In addition to riding a camel, desert skiing and other natural roller coaster, here you can enjoy a puff shisha (Arabic tobacco) while watching the belly dancers in action.